It's been a while since I have done a Fun Finds Friday post so I'm going to do a little catch up. 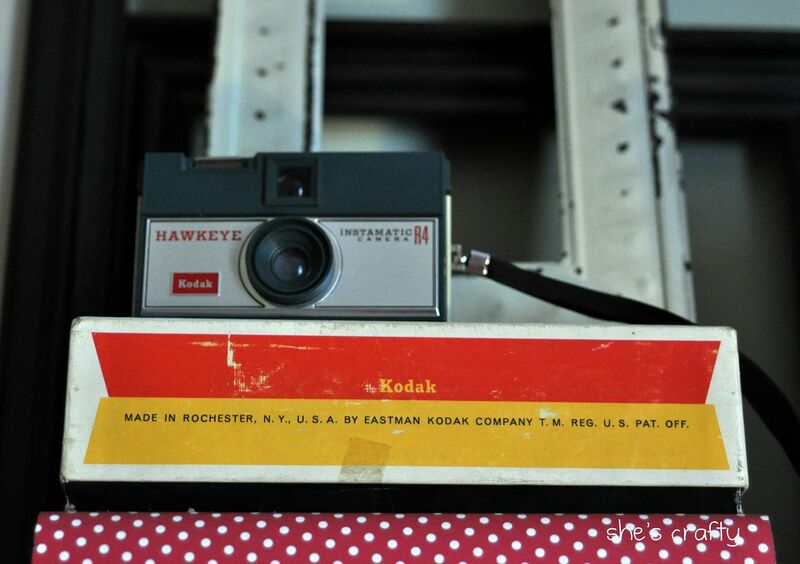 For Christmas my in-laws gave me this Kodak Hawkeye camera still in the box. It's in perfect condition and has the instruction manual and flash cubes. 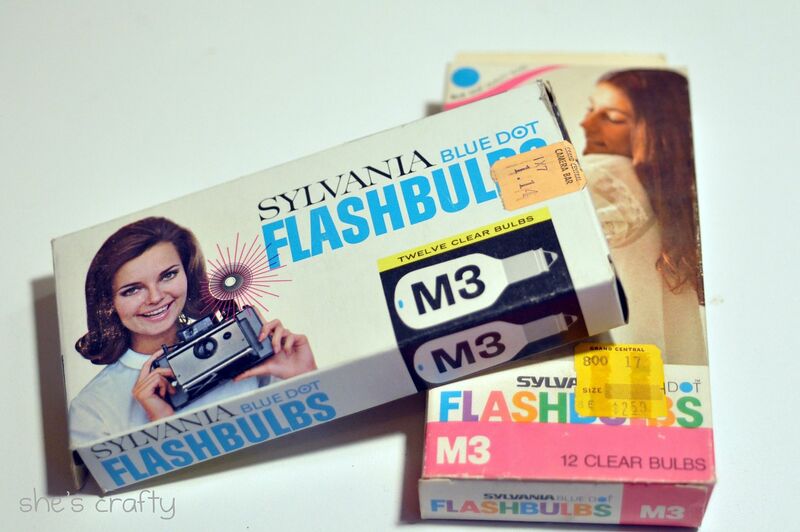 They also found these vintage flash bulbs. I'm still trying to figure out what to do with them, but I think they would look really neat displayed in an apothecary jar. A few weekends ago, my family and I went on a thrift store crawl. We stopped at a bunch of the Goodwill's in our area looking for treasures. I still can't believe I was able to talk them into going with me. We all had a great time, lots of laughs and even my pre-teen son was able to find a few things he liked. 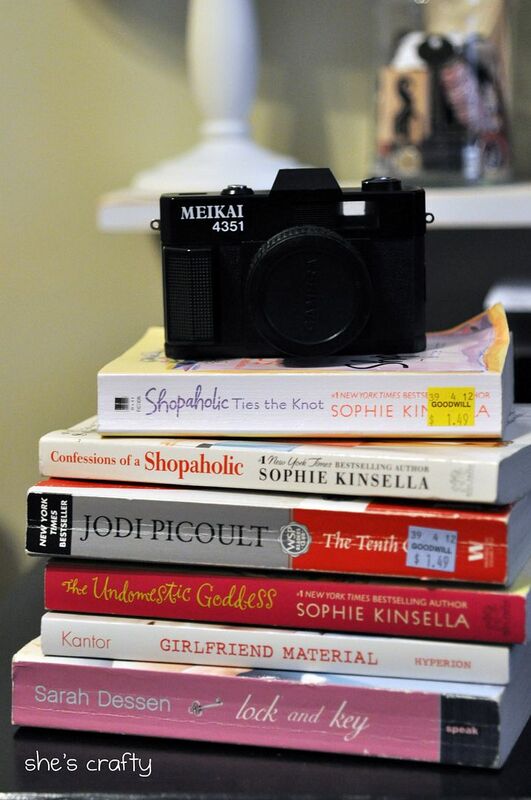 I found a bunch of books to keep my reading self busy and a cool looking camera. I thought it looked vintage, but after Googling it I think it's just a junk piece. Oh well, it still looks good to me and goes well with my collection. I also found the Brownie box camera (the rectangle one on the left next to the red suitcase). 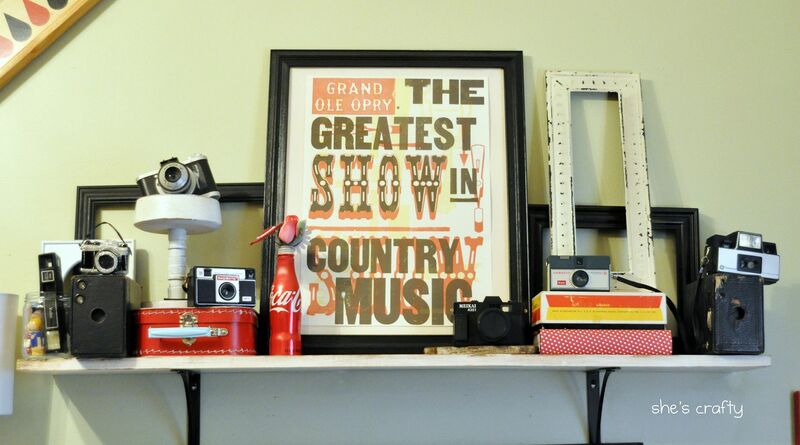 -On a side note- I am obsessed with Country Music so that's why I have the Grand Ole Opry poster framed. But I am looking to change it out with different artwork so if anyone has a link to any, I would love to see them. 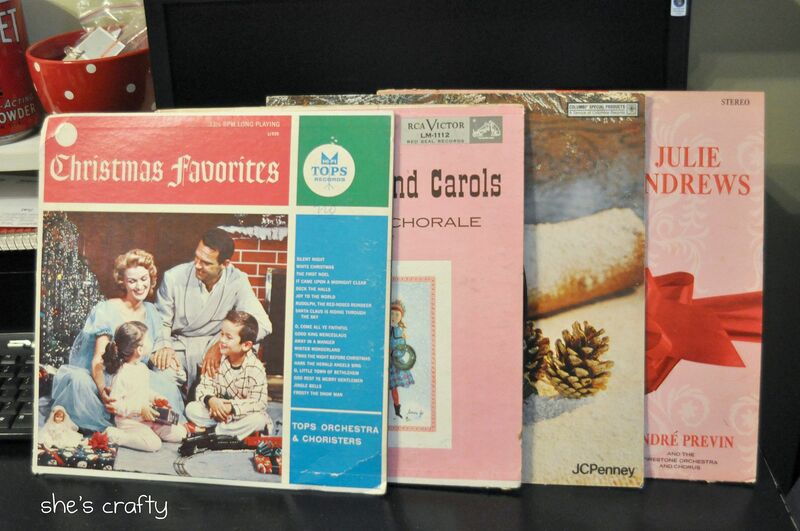 My favorite find of the weekend was these vintage Christmas records. I love love love the artwork on them and can't wait to display them around my home next Christmas. I would also love to get a record player and see how they sound.